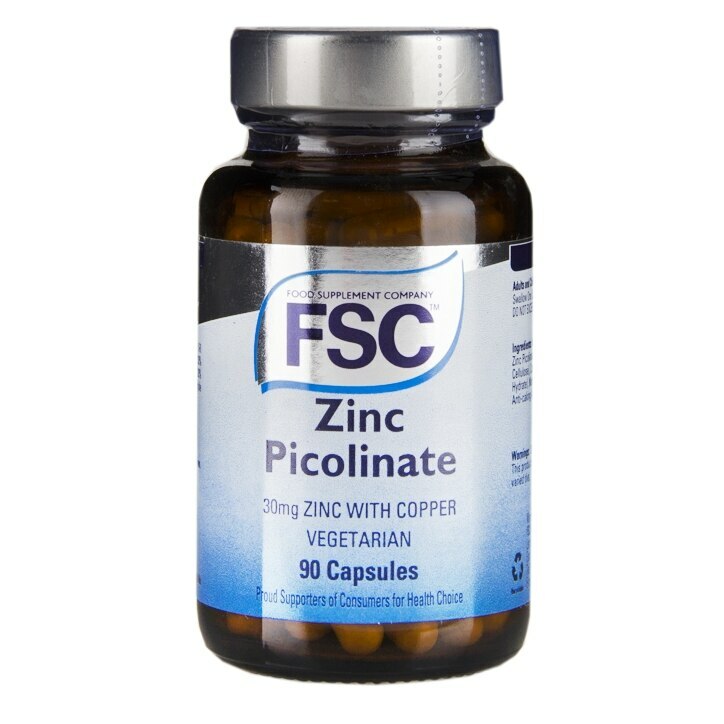 FSC's Zinc Picolinate capsules combine zinc and copper, two important minerals which help the body perform lots of functions. Zinc contributes to the normal function of the immune system and can help protect cells from oxidative stress. It can be useful in supporting normal fertility and reproduction, and contributes to the maintenance of normal testosterone levels in the blood. Zinc can be useful for normal cognitive function and macronutrient metabolism. Copper contributes to the maintenance of normal connective tissues and can support the function of energy-yielding metabolism, nervous system and immune system. It plays a role in hair and skin pigmentation and also can protect the body's cells from oxidative stress.